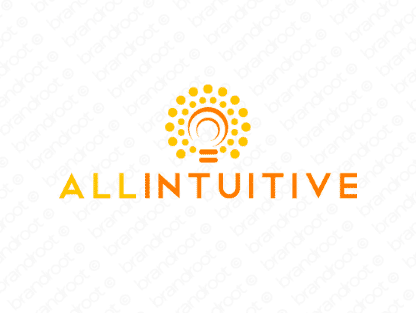 Brand allintuitive is for sale on Brandroot.com! Combining the words "all" and "intuitive", this name is a fantastic play on the term "all-inclusive" that adds sensitivity and intelligence. Allintuitive is an insightful and capable brand with unique value for a diverse set of services from customer experience analysis and marketing agencies to health and wellness products. You will have full ownership and rights to Allintuitive.com. One of our professional Brandroot representatives will contact you and walk you through the entire transfer process.